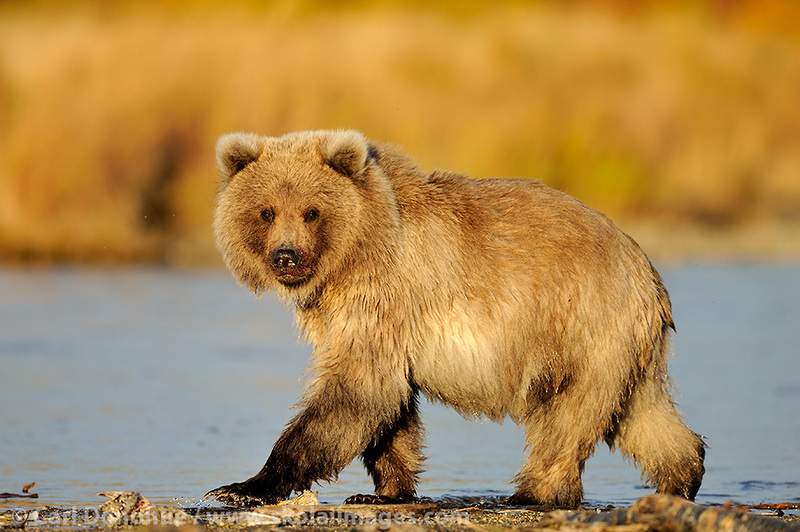 A first year brown bear, or grizzly bear, cub, walking along a salmon stream, (Ursus arctos) Katmai National Park and Preserve, Alaska. Just returned from 2 weeks in Katmai National Park and Preserve photographing the great brown bears, and wow, what a trip it was. Definitely one of my all-time favorite trips, this photo tour was awesome. This young brown bear cub was one of a set of triplets we got to photograph several times, in various different settings and locations, including some great light. Good times, indeed. I’ll follow up more with notes about the trip as I get some time. Now I’m packing for the arctic and some polar bears. Posted on Sunday, October 6th, 2013. This epic photo was taken by Carl Donohue.